Top Salmon Fishing Guides & Trout Fishing Guides- Voted "Top Guide on West Coast"
Northern California Steelhead fishing... at it best . 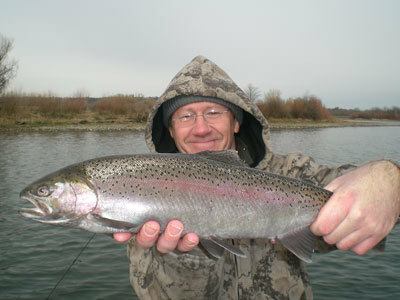 well known for the best rainbow trout fishing and steelhead fishing on the West coast. The Sacramento River is also California's longest river. 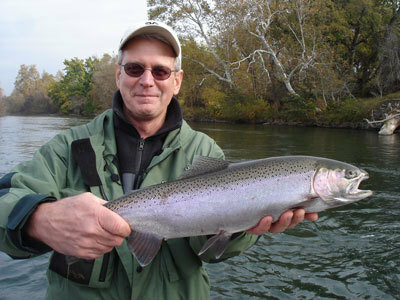 We steelhead fish in the Balls Ferry Area of the Sacramento River. Steelhead fishing techniques are side-drifting roe, and fly fishing, the famous Battle Creek stretch. 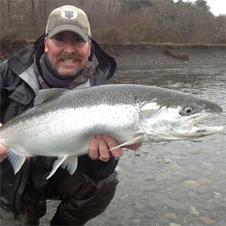 Outdoor Adventures Sport Fishing specializes in guided Steelhead fishing , Trout fishing, and Salmon fishing , in California and Oregon. 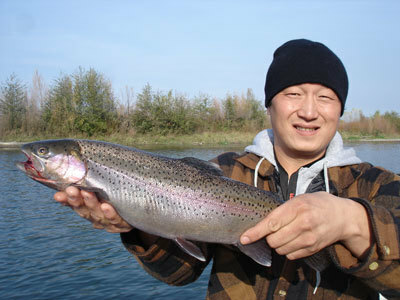 Top, Professional Sacramento River fishing guides available in the North State, only found here. 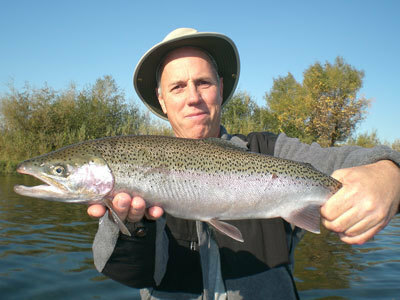 Providing our clients with only the top-of-the line, light weight tackle, whether spin fishing from our custom built 26' jet boats, or fly fishing, from our custom built 17' or 21' drift boats, the Sacramento River produces trophy steelhead and trophy rainbow trout ranging in size from 2 to 15 lbs. 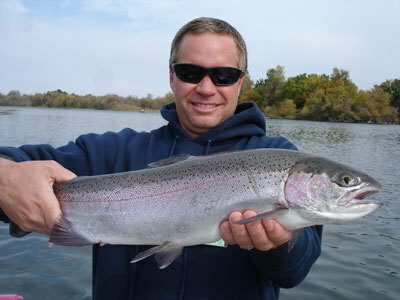 Catch these very plentiful fish Year - Round, catching from 15 to 40 fish a day, while on our guided Sacramento River Trout fishing and Sacramento River Steelhead fishing trips. We cater to the beginning anglers, as well as the experienced. We can accommodate any size family or group. 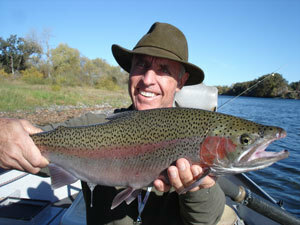 We offer a "Grand Slam " guided fishing trip, aboard our 26' jet boat for salmon, trout, and steelhead- our specialties. In the months of September, October, November, and December . All equipment is provided on this guided fishing trip. All aboard custom built jet boats. Areas fishing from Redding, California -Anderson, California . Morning and afternoon trips available. We can accommodate any size group. COMBO TRIPS AVAILABLE- RIVER & LAKE COMBO .